Need help cutting calories? There are 100s of weight loss tips on the internet and 1000s of different products that claim to be one-way tickets to the body of your dreams. At the Weight Loss Review, we tell you which products are the real deal and which are just straight up magic tricks that cause the money from your wallet to simply disappear. The less calories strategy is at the heart of every weight loss plan. How can I eat a little bit less daily to lose 1-4 pounds per week? Calorie reduction is a pure numbers game. 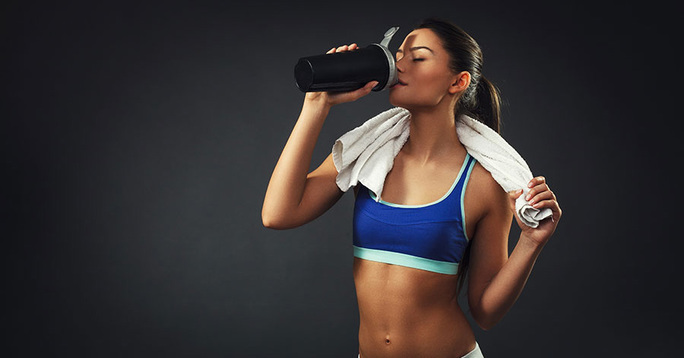 We’ve seen Slim Fast and other protein shakes for body builders, but we haven’t really seen the best of a Slim Fast or Ovaltine type drink blended with added protein. Protein is our body’s building blocks for a leaner and more toned physique. Without protein, it is hard for us to get that slim look. The shakes contain a combination of fat, sugar, protein, and fiber. Fiber helps to keep you fill in addition to the protein. It also helps your body to cleanse itself by adding some bulk to your digestive tract. Protein helps to build lean muscle. Sugar and fat are designed to keep your palette satiated. The shake is low in calories, 190 to be exact. There are several different flavors of the shakes from strawberry to french vanilla to dark chocolate. You can buy all the flavors to get some variety in your breakfast. The shake is essentially like a multivitamin drink that offers minerals and vitamins in addition to the necessary nutrients. WATER, PROTEIN BLEND (WATER, NONFAT MILK, WHEY PROTEIN CONCENTRATE, SOY PROTEIN ISOLATE), SUGAR, CONTAINS 2% OR LESS OF POLYDEXTROSE, MALTODEXTRIN, CANOLA OIL, NATURAL AND ARTIFICIAL FLAVOR, POTASSIUM CITRATE, GELLAN GUM, CELLULOSE GUM, MONO- AND DIGLYCERIDES, SOY LECITHIN, DIPOTASSIUM PHOSPHATE, SALT, CARRAGEENAN, SUCRALOSE, ACESULFAME POTASSIUM.VITAMINS AND MINERALS: TRICALCIUM PHOSPHATE, VITAMIN C (SODIUM ASCORBATE), VITAMIN E (ALPHA TOCOPHEROL ACETATE), VITAMIN A PALMITATE, NIACINAMIDE, IRON (FERRIC PYROPHOSPHATE), ZINC SULFATE, VITAMIN D3, VITAMIN B1 (THIAMIN HYDROCHLORIDE), VITAMIN B6 (PYRIDOXINE HYDROCHLORIDE), VITAMIN B2 (RIBOFLAVIN), VITAMIN B12, FOLIC ACID. SWEETENED WITH NUTRITIVE AND NONNUTRITIVE SWEETENERS. Some red flags raised in the ingredient list are: canola oil, maltodrexin, sweeteners, and all the other things that we cannot pronounce and might as well be written in Greek. This is a highly processed beverage that is dairy and whey based with soy protein isolates that are difficult to digest. The sweetners are a huge eyebrow raiser, on top of being chock full of non nutritive sweeteners, there is a total of 18 grams of sugar and only 10 grams of protein. If this is suppose to be a weight loss protein shake it would be better if there were say, 15 grams of protein and 10 grams of sugar. There is just too many preservatives and not enough protein for the average person with a body weight of 140-150. While this beverage may be delicious and well fortified, this may not be a long-term weight loss solution or a good way to improve overall health. If you are looking to quick-start weight loss this might be an effective plan, but drinking canola oil and sweeteners everyday for breakfast probably isn’t the best idea.